Let's implement the Dijkstra's algorithm on the below Weighted Directed Graph. In the above graph S is the source node, Now let's implement Dijkstra's algorithm to find the shortest path. 1. Initialize-Single-Source(G,s) is executed and all vertices are given initial d and pi values. 2. Queue Q now contains all vertices, S is assigned empty set. 4. Minimum Vertex from the available vertices in Q is assigned to u. 5. d value is updated in Relax function. For d value to be updated the current d value must be greater than the new d value. New d value will be d[u] + w[u,v]. 6. Repeat statements 4,5 until Q becomes empty. 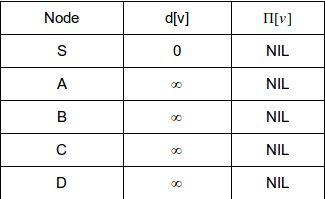 The above table represents the values of the graph after the execution of the function Initialize-Single-Source(G,s). And the Queue determines the set Q ( Line 3 ) which is assigned all the vertices in the graph. 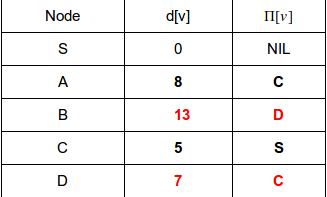 Also s is added to the empty set S. Now in the while loop, u is assigned to the minimum value among all vertices in Q, s is the vertex with value 0 and all other are infinity, so u is assigned to vertex s.
New Value = d[u] + w[u,v] = 0 + 10 = 10. Current Value is greater than New value. d[a] is updated to 10. New Value = d[u] + w[u,v] = 0 + 5 = 5. Current Value is greater than New value. d[c] is updated to 5. Since Dijkstra's follows the greedy approach we proceed to node with minimum distance and in our case vertex C has the minimum distance ( among remaining vertices A,B,C,D) hence now u will be assigned to vertex C. Vertex C is added to the set S.
Now from C we have 3 outgoing edges ( A, B & D ). New Value = d[u] + w[u,v] = 5 + 3 = 8. Current Value is greater than New value. d[a] is updated to 8. New Value = d[u] + w[u,v] = 5 + 9 = 14. Current Value is greater than New value. d[b] is updated to 14. New Value = d[u] + w[u,v] = 5 + 2 = 7. Current Value is greater than New value. d[d] is updated to 7. We now proceed to node with minimum distance, which right now is vertex D with distance 7 ( among vertices A,B & D). Now u will be assigned to vertex D and D is also added to the set S.
Now from vertex D we have two outgoing edges ( S and B ). New Value = d[u] + w[u,v] = 7 + 7 = 14. Current Value is not greater than New value. d[s] will remain the same. New Value = d[u] + w[u,v] = 7 + 6 = 13. Current Value is greater than New value. d[b] is updated to 13. Now we proceed to vertex A ( least among A and B ). 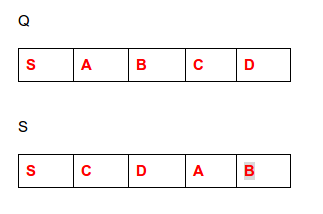 Vertex A is now assigned to u and is also added to set S.
From vertex A we have two outgoing edges ( C and B ). 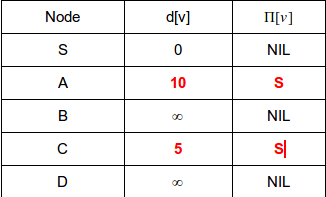 d[c] cannot be updated because it is currently 5 and the new value will be ( 8 + 3 ) 11. Since 5 is less than 11 we cannot update d[c]. New Value = d[u] + w[u,v] = 8 + 3 = 11. Current Value is not greater than New value. d[c] will remain the same. New Value = d[u] + w[u,v] = 8 + 1 = 14. Current Value is greater than New value. d[b] will be updated to 9. Pi[b] will be updated to A.
Q is now empty, so the loop terminates. Now the shortest path is Starting from S to C then to D via C and then to A via C and then to B via A. Apply the Dijkstra's approach and find shortest path for the below graph. Dijkstra's follows a greedy approach in order to calculate the shortest path. It is more efficient when compared with Bellman-Ford Algorithm. We shall assume that there are no negative weights in the graph. Dijkstra's algorithm maintains a set S of vertices whose final shortest-path weights from the source s have already been determined. 1. Algorithm selects a vertex u with the minimum shortest path estimate. 2. Adds the vertex u to the set S.
The above steps are executed repeatedly until it finds the shortest path. 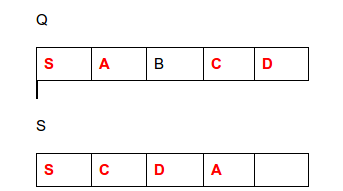 Algorithm : First we will look at two helper functions and then the Dijkstra's algorithm itself. This function is the first step of the Dijkstra’s algorithm, here for each vertex we will make shortest path ( Step 2 ) Infinity since we are yet to determine that. And since we do not know the path which we will take to reach target node, we will assign Parent node of each vertex as NIL ( Step 3). The process of relaxing an edge (u,v) consists of testing whether we can improve the shortest path to v found so far by going through u and, if so, updating d[v] and Pi[v]. Line 1 initializes the values in the usual way as described earlier, and line 2 initializes the set S to empty. Line 3 initializes queue Q to all the vertices of the graph. Each time through the while loop lines 4 - 8, Line 5 extracts a vertex u from the Q and Line 6 adds it to the set S. ( The first time through this loop, u = s) Vertex u, therefore, has the smallest shortest-path estimate of any vertex in V - S. Then, lines 7–8 relax each edge (u,v) leaving u, thus updating the estimate d[v] and the predecessor pi[v] if we can improve the shortest path to v found so far by going through u. Observe that the algorithm never inserts vertices into Q after line 3 and that each vertex is extracted from Q and added to S exactly once, so that the while loop of lines 4–8 iterates exactly |V| times. 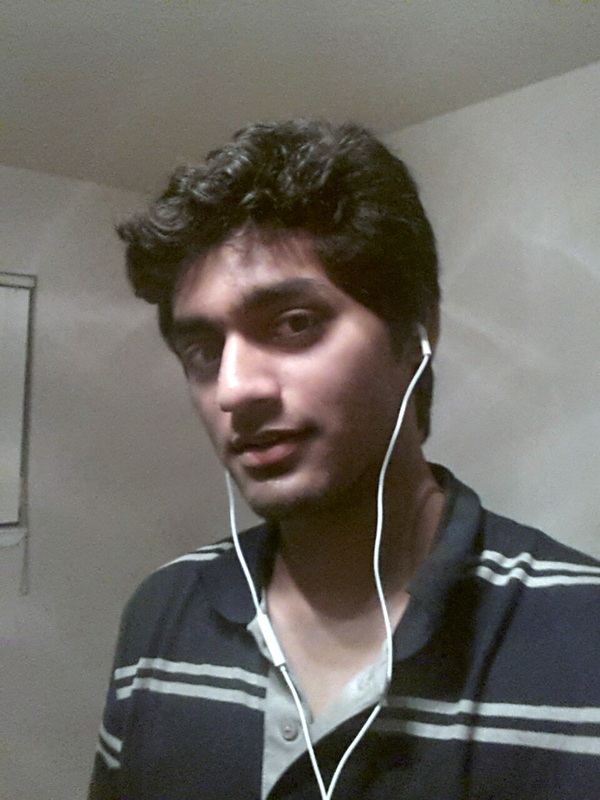 ﻿﻿Dynamic programming is a algorithm design technique, some what similar to divide and conquer. 2. Can be divided into overlapping sub-problems ( sub-problems which tend to repeat ). 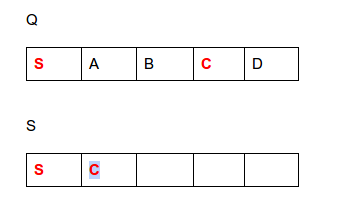 The highlighted sub-problems in the above tree overlap. 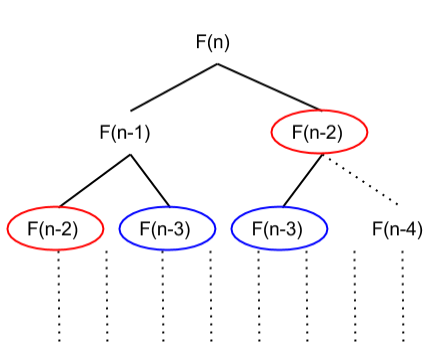 Our algorithm recursively solves these sub problems, as in the above case F(n-3) and F(n-2) will be computed twice which is a waste of time. Applying DP approach to this problem would eliminate such unnecessary processing. When we encounter F(n-3) the second time we can simply refer to its solution computed earlier. Dynamic Programming is very effective on such problems, as in the above case the running time of the algorithm is reduced from Exponential time to Linear time. Modify the given Fibonacci algorithm by applying dynamic programming approach. Hint: Use an array to save the solutions of all the sub-problems. A maze can be modeled using an undirected graph by having a vertex for a starting point, a finishing point, dead ends, and locations in the maze where more than one path can be chosen, and then connecting the vertices according to the paths in the maze. (a) Construct a graph for the maze shown above. (a). A maze can be represented as a graph. In order to do so we must consider the Junctions of the maze as the vertices in a graph. We can connect both the vertices if there is a way from one junction to another junction. 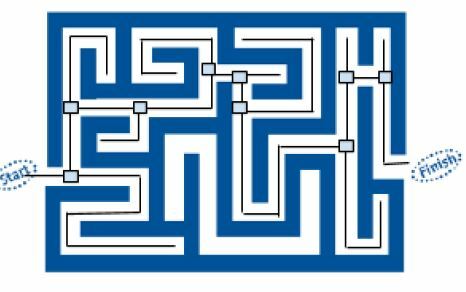 This approach will build an path from start to end which will help in solving the maze. Creating a graph would help us in solving this kind of a problem. Lets consider all n words and each word be a vertex and use these vertices to plot a graph. Once we have all the vertices, next we must join all the words that differ by just one character, for example lets consider the words “coins” and “corns” , “dizzy” and “Fizzy” such words differ from each other by a single character. These two words can be joined. 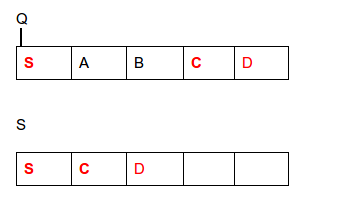 Given source word S and a target word T we must now identify the vertices between both these words in the graph and now apply a shortest path algorithm to obtain minimum number of one character changes to go from source word to target word. Below is a part of the graph that can be made out of the n words given. 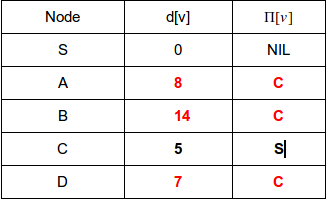 Increment any given integer without using arithmetic operators. 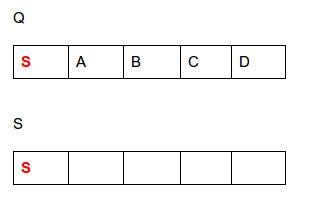 Example : input 345 , output must be 346. Today I came across a problem wherein I was asked to increment any integer without using any arithmetic operators. Below is the explanation and java code to implement such a problem.